So many of you have been waiting for our school supply list to be updated. We are pleased to announce that they have been updated on our website. 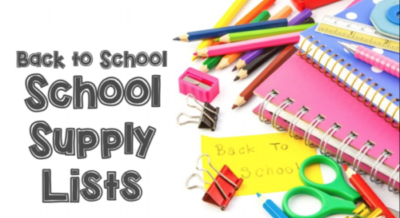 All our supply lists are available on our website under Life@TA – School Supply List. Please remember to label all personal items only. Please note that in the community supply list, we have designated certain items to be brought by the boys in the class and others to be brought by the girls in the class. Any questions can be directed to info@tarbiyahacademy.org.